This Gi is made of triple weave strong Ripstop style cotton weave, durable super light; Jacket is made from one piece of fabric with no seam in the back for strength, comfort and durability. Collar is made of one piece of injected molded padded foam, that makes the jacket almost a full pound lighter and also helps to keep the collars soft and light, does not get soaked with sweat, also allows the gi dry faster and does not allow bacteria fungus to remain inside the collar. Reinforced chest, upper back, shoulders. Pants are also made of strong Ripstop cotton material. 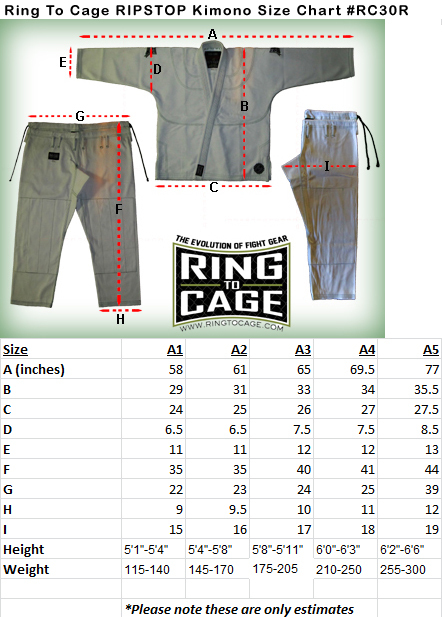 Reinforced panels at the knees, Pant comes with padded stretchy rope drawstring which is the most comfortable drawstring on the market, does not leave any mark or rashes on your waist. Includes jacket, pant and belt. This gi comes with no patch on front and back of the jacket and pant. Customize your Gi with your own choice of logo/ Academy patch or to resell in your gym Proshop to your students with your Gym/Academy logo.